I tinkered with something similar a year ago, repurposing an OLED picture fob into a simple pong watch by directly pumping the display controller with an external PIC processor. 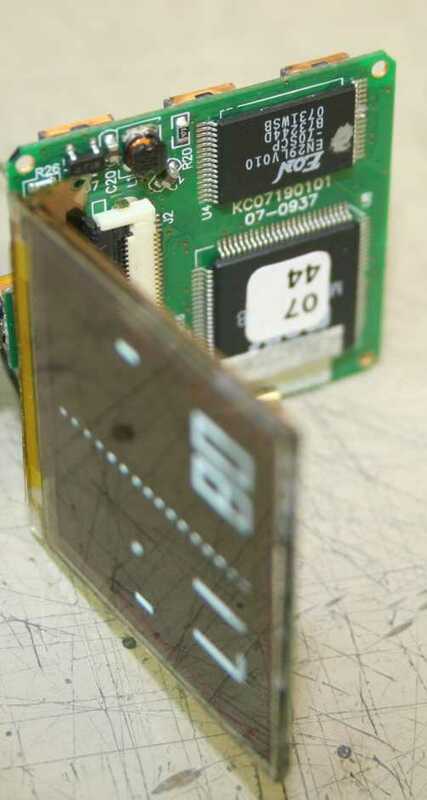 The program (PIC assembly) was forwarded to the OEM, with the hopes they'd release a new pong wristwatch as a variant on their picture fob using the internal MCU. Those digital picture fobs are down to $5 now that the market is saturated with them, so I figured they would jump at the chance. Unfortunately I never heard back from them. Be sure to check out the rest of the photographs after the jump. All photographs are owned by Jeff Thomas / used with permission here.